Many of today’s younger parents may remember playing a popular card game called Pokémon back in the early 1990s, where players collected different imaginary characters to trade and engage with other children in make-believe adventures. As technology grew, eventually these playful creatures found their way onto the Nintendo platform and today, adults and children alike are becoming overwhelmingly excited with the next adventure available on this platform. Thanks to GPS and smartphones, Pikachu and other popular Pokémon playmates are now being tracked and collected in the real world using omnipresent handheld devices with Pokémon GO. This presents some obvious dangers and realistic threats with an increasing number of smartphone users who are disenchanted with the outside world when engaged with their devices, regardless of their age. To give you an idea of just how rapidly this game is spreading in popularity, check out this infographic entitled 111 Pokémon GO Statistics courtesy of Rawhide.org. The worry for parents is increasing as more news reports are continuing to surface about injuries occurring during gameplay. Overall we shouldn’t be too concerned when remembering some important safety tips and advice we should be teaching our youngsters. It’s just a game after all, but it’s still a way for parents to teach their kids some important life lessons and bond with them during this critical time in their life. Whether they’re six or sixteen, parents should offer to play alongside with their kids inside these imaginary adventures. Not only will it help with the bonding process with adolescents, parents will have the opportunity to offer important learning experiences with younger players. Basic math skills and tracking their movements are the first two that come to mind for elementary players. Connecting with adolescents can occur along with the excitement of trapping new characters when becoming more involved with our teens while playing the game. Instead of parents looking at our kids with a blank stare, for Pokémon players young and old alike, parents can share something with their kids when they get to know the game and its characters. As with any new experience for kids, parents need to set rules and put boundaries into effect when it comes to game time. They shouldn’t wander too far from home, and should stay away from areas they’re unfamiliar with while keeping “stranger danger” in mind. Check with a parent before beginning an outdoor excursion. Always take along a friend and never play alone. Tell people “no” and don’t take any type of assistance from people. Inform an adult immediately if anything unusual happens. It’s important that parents instil a sense of urgency with their children to always be aware of their surroundings when playing. Besides the obvious threat of being injured when not paying attention, they could also wander onto private property or into unsavory areas. 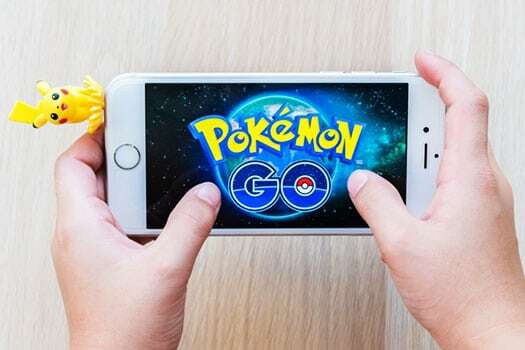 With a little common sense and by following some simple rules and guidelines, there’s no reason kids can’t have fun in the make-believe world of Pokémon GO as long as they remember they’re still here in the real world. Good luck finding Pikachu and all her friends without getting into any problematic situations during your adventures. Amy Williams is a journalist and former social worker, passionate about parenting and education. Download Our FREE Classroom Motivational Posters!